It is distressing when a client tells me that they have never observed – or themselves, experienced – what they would define as a successful romantic relationship. Statements like “maybe good relationships just don’t exist” or “no one in my family ever had a good relationship,” usually follow. Many clients enter psychotherapy because of relationship-based difficulties and some of them eventually feel that they are doomed to continuously have trouble or fail in their efforts to enjoy a successful romantic partnership. I am often told by clearly disheartened clients, that the trajectory of their romantic partnership has been downhill. Frustrations and disappointments are said to develop as early as a few years – sometimes even a few months – after the honeymoon ends and “normal life” resumes. One client told me that he and his wife suffered from the marital equivalent of a “postpartum depression that never ended.” Frequently, in order to comfort themselves, it seems, I will be told that this downward trajectory is “standard,” and “everyone’s experience.” These assertions, I fear, while primarily designed to self-soothe, also seem to firm up the belief that any long-term romantic relationship is likely to be a doomed enterprise. When I comment that while relationships may change over time and that change does not necessarily imply that a relationship turns from positive to negative or, when I mention that some relationships have been known to deepen and improve with age, some clients looked at me in disbelief. Through my work, I have had the satisfaction of seeing positive outcomes when two people work hard at relationship self-improvement… and succeed. This enables me to work with a perspective and a conviction about what may be possible that clients in distress – especially in the beginning – often lack. Handling Anger and avoiding arguments – One of the major problems with anger and the often-resulting arguments that follow, is that neither partner does much, if anything, to avoid them. Perhaps motivated by the need to prevail or be “right” about the conflict-arousing issue, one or the other in the couples “takes the bait” and gets hooked into an argument that could have been avoided if one of them had seen to it that the conversation – however emotionally-charged – had remained conversational or been postponed until calm was restored. This is not always easy, but certainly possible. Listening to each other – This is extremely important. Couples in conflict often are so busy preparing their indictment or their defense of the other, that they simply do not listen and hear what is being said. Thus, their responses, often, are not responses at all, but their next statement perhaps entirely unrelated to what was just said to them. This is one of the main reasons, I believe, why too many couples recycle the same issues and arguments over and over and rarely if ever feel as though any ‘conversation,’ (i.e. attack and defend exchange) accomplishes anything. Couples often need help to learn to listen to each other so that the dynamic between them changes to one that is productive. That is the job of good therapy. Saying “I’m sorry” (read more) – I continue to be amazed at how difficult this is for so many of the people with whom I have worked both in and out of romantic partnerships. I often hear statements like, “I know it’s the right thing to do and I feel sorry…I just can’t say it!” suggesting the likelihood that the person might feel “weak” or “defeated” if they publicly acknowledge their sorrow or regret. 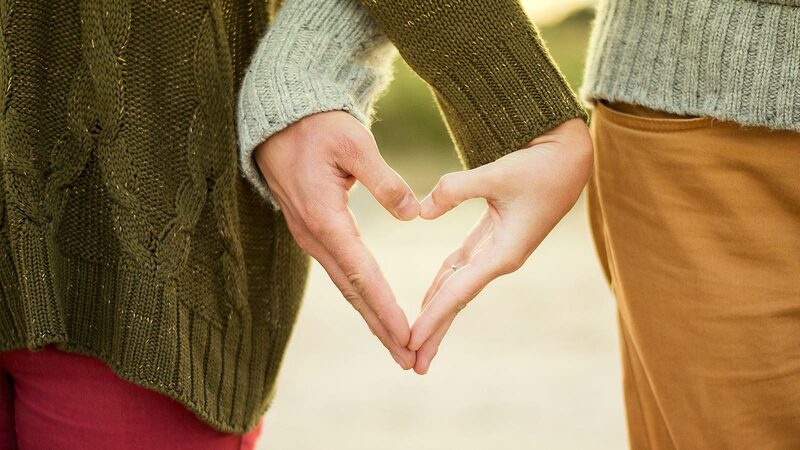 Expressing Gratitude – When partners in a couple feel and express gratitude or appreciation for each other, each of them feels cherished and valued and it enhances the relationship. Expressions of appreciation do not have to be confined to major gestures or actions. “Thank you, honey, for feeding the dog” or ”I really appreciate your picking up my prescription” can be just as meaningful as a thank you for a monumental gift or kindness. Changing – Yes, changing, and by this I am referring to what might be considered the ‘little things’ that become ‘big’ things when they persist over time. These are the kinds of changes that, with some effort, might be easy to accomplish with far greater dividends than the investment required to achieve them. If a wife tells her husband, for example, that she really appreciates getting a greeting card on her birthday and her anniversary, I am bewildered by his seeming refusal to gratify her, regardless of whether or not it means anything to him. If a husband informs his wife that he would not like to be interrupted by phone calls while at his gym workout unless there is an emergency, similarly I am bewildered by her not cooperating by calling about non-essential matters during that time. When people feel ignored or, worse, devalued by their partners, resentments develop that can become toxic to the relationship. Treating each other as “special” – A wife once complained that upon leaving a party, her husband helped every other woman guest on with her coat…except her. When she questioned him about this, his reply was “well, that’s because you’re my wife!” Her response: “that’s the point!” That she felt taken for granted was not surprising. Moments like this may be insignificant if they are infrequent, however if they typify an attitude or are common in the relationship, they have the potential to cause diminished regard and affection for the offending partner. These are but a few of what might be considered “ingredients” of a successful romantic relationship; perhaps, any relationship, especially when there is conflict. Every one of these ingredients is best utilized by both partners when, above all else, they remember that the person with whom they are having conflict may be the very person whom they love the most and who loves them the same way. For more, please see my follow-up post, More Thoughts About What Makes a Relationship Successful. An updated version of Some Thoughts on What Makes a Relationship Successful is included in my new book, Help Me!. More information, including the table of contents, reviews and purchasing information is available on the Help Me! page.